Forget The Strokes, The Hives are the future of rock and roll (and are already being heralded as such in Europe). They bring back that great garage rock feel that was made so popular in the 60s and 70s by bands such as The Stooges, MC5, and some of the early Who stuff. While "Veni Vidi Vicious" is their first big release in the US, they’ve been doing this rock thing in their homeland of Sweden since 1993, and have released a couple of short players and one full length to add to their quiver of records. This is not one of those bands where a lot of flowery language is needed to describe their sound, because one word sums it up – rock. If you like good rock music, buy this. If you do not like good rock music, go buy an O-Town record, or something similar. 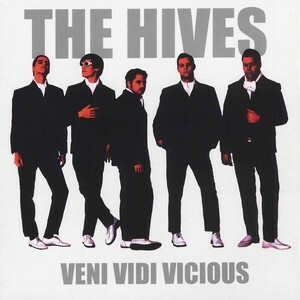 Oh yeah, and if The Hives come to your town to play, whatever you do, do not miss them. They are on a short list of bands that I think anyone would enjoy live, even if you’re not crazy about the music, because they put on such a good stage show. Their singer, Screamin’ Pelle, is the reincarnation of Mick Jagger if there ever was one, and their drummer, Chris Dangerous, is a force to be reckoned with as well. It doesn’t happen often, but every once in a while I will hear a band that has me grasping at straws when it comes to describing how they sound. 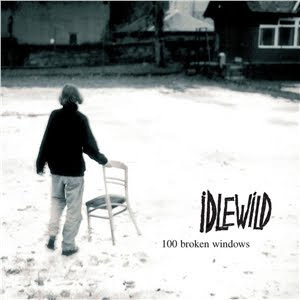 Idlewild is one of those bands. I know that I like it, but I would be hard pressed to tell you exactly why, or what it sounds like, or who to compare it to. These lads come from Scotland, and given the amount of great music that comes from such a small land – Mogwai, Belle and Sebastian, Ganger, Aereogramme, Snow Patrol, Arab Strap, Boards of Canada, Reindeer Section, Teenage Fanclub, etc – you expect good things. And while there may be some similarities among those other bands listed, Idlewild manages to sound nothing like any of them. Their sond has been described as pop-punk, without sounding like either pop or punk. This adjective is probably the best one to describe them with though – many of their songs contain the type of pop hooks that get in your head for days, and they have moments of rocking out that would surely make your ears ring if you saw them live. There are many highlights on this album, including "Idea Track", "Actually It’s Darkness", and "Quiet Crown," but this is one of those albums that you usually listen to from start to finish because it has no weak spots. If there is a weakness, it’s the production value. On first listen, it seemed a little over produced, but with each successive listen I've gotten somewhat used to it. Looking back at this review, it has come to my attention that I have put together quite possibly one of the vaguest record reviews ever(do I get a prize for this?). So to further clarify my overall sentiment, which is "this is a good album," take heed of the following as well: the music magazine Magnet had nothing but good words for this release. Pitchfork stated that the album was some odd mix of REM and Superchunk, which they meant as a good thing (although I’m not sure what they’re talking about really). And if those indie stalwarts don’t convince you, even Rolling Stone, when not espousing the virtues of every teen pop and rap metal act out there, gave this album a good review.